Hot on the heels of LG announcing it will bring Google Assistant to its televisions, Chinese manufacturer Hisense has revealed Amazon Alexa is coming to its 2018 range of Ultra HD smart TVs. 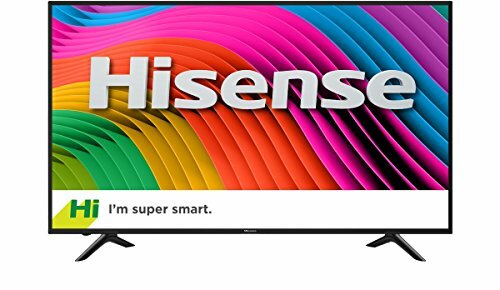 Although the company has not said exactly which TV models will get Amazon's smart assistant, Hisense says its flagship 100-inch Ultra HD Laser TV is definitely included. So if you're in the market for a TV the size of an entire wall —which can be controlled by voice — you're in luck. Hisense says Alexa support will give its 2018 TVs "a wide variety of voice features right out of the box" and that Alexa will help users "control certain primary functions, including voice commands, changing inputs and controlling volume." The news comes a day after streaming device manufacturer Roku announced plans to develop its own voice-activated assistant. Although lacking the smart home interaction of Alexa and Google Assistant, the Roku Entertainment Assistant will make it easier for you to play media with a voice command. Hisense's Alexa-enabled TVs will be revealed at the CES technology show, which kicks off in Las Vegas on January 9. GearBrain will be attending to bring you all of the latest news from the show floor. While volume control isn't exactly difficult with a conventional remote, we can see Alea being helpful when it comes to switching inputs. Hopefully you'll just have to say "Alexa, switch to the Xbox" or "Alexa, change input to Blu-ray player" and the TV will do as it is told. Alexa's huge base of skills will also be available on new Hisense TVs. This means you'll be able to ask your TV to shop online, call an Uber or order a pizza. Hisense adds: "Alexa will also enable users to connect to other smart home products so that they can control the lights, turn off the air conditioner, operate other IoT devices that work with Alexa and more." By the sound of it, buying one of this year's Hisense TVs will offer exactly the same experience as buying an Amazon Echo smart speaker. No word on whether Hisense has found a way to stop TV ads for Amazon Echo from interacting with the television itself.